Multi-level beautifully renovated creek-side 3BR/2Ba brick home with separate entrances for lower level guest apartment and efficiency. Currently leased for $900/$550/ month , also could make great Air BnB rentals! Bright and Open floor plan; beautiful hardwood floors; Newer windows; newer roof (2016); updated kitchen and baths; patio overlooking woods and creek. Great for entertaining or large family. 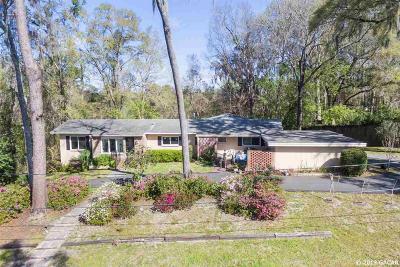 Circular drive, gorgeous landscaped lot with many azaleas & camellias on one of the prettiest streets in town. 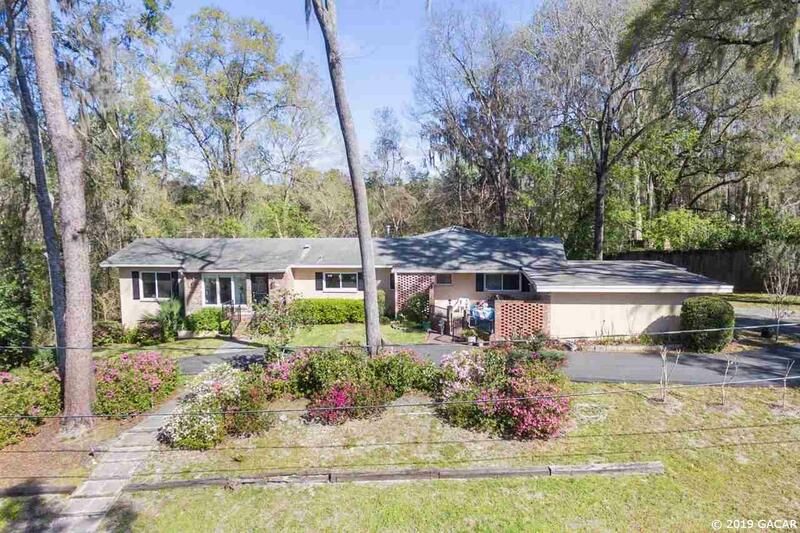 Great schools zones, and only blocks to UF; Ring Park and all NW amenities.